He painted his hand orange and then I added some black stripes before pressing it down on the paper. We added a tail, face, and ear. Oops, I guess we forgot to add stripes to the tail! 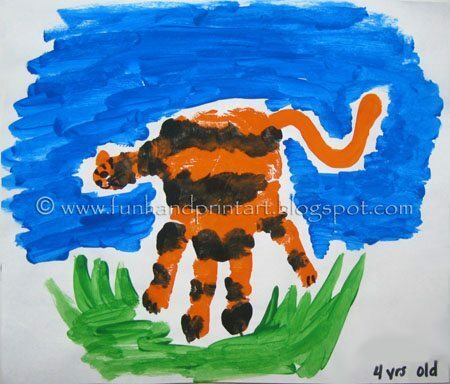 Check out the other Handprint Tiger from our archive that is made a little differently than this one! Very cute! I guess I need to look at your site more for fun art projects!